If my dining table could tell the tales about the many bottles it held this summer, it would go something like this: I’ve been holding on to these for a good reason, a virtual share with snippets of their storied past and what may pair well with them. Knudsen Vineyards has had a long and award winning history. Lunch at RN76 hosted by the Knudsens introduced their second generation mission. Oregon wine pioneer, Cal Knudsen and family actually grew up in the Seattle area. Knudsen, a timber company exec, found his little slice of Burgundy in the Hills of Dundee. The family spent their summers planting and working their vineyards. In the early 70s, it was the largest vineyard in Willamette Valley at 30 acres. Host second generation David Knudsen also happens to be President and CEO of Ostrom Mushroom Farms. So, naturally mushrooms permeated each course. There was a Mushroom Consommé en Croute accompanied by the 2014 and 2015 Chardonnay. An Arctic Char Mi-Cuit (mee coo ee), which is a fun French way of saying pretty pink in the middle, was presented on a bed of mushroom ragout. Waiting on the wing were three glasses of Pinot Noir, the 2014, 2015 and the Estate Reserve 2015. My favorite was the 2014 for its maturity, complexity and accessibility. The 2015s were great also, they just needed more ageing. In 1972, California’s Central Coast also had a pioneer planting vineyards. Raised on a South Dakota farm, Jerry Lohr found his way to Monterey County and planted over the years his 280 acres in the Arroyo Seco appellation. Kristen Barnhisel is the white winemaker for J. Lohr Estates. Dinner with fresh fish dishes at Matt’s in the Market was a sumptuous meal. We tasted the Arroyo Seco Sauvignon Blanc, 2015 Riverstone and October Night Chardonnays and a 2014 Late Harvest White Riesling. It was a delightful time. Williams Selyem was the original garagiste wine. 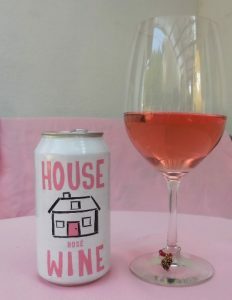 Begun as a hobby in a garage in 1979, they rose to cult status after competing with 2,136 other wines to win the California State Fair’s Sweepstakes Prize for their 1987 Rochioli Vineyard Pinot Noir. While talking about California wines, my friend Lindsey and I sat down one evening and savored the William Selyem 2001 South Coast Coastlands Vineyard Pinot Noir. This time we just wanted to highlight the matured wine so the nosh was crusty bread and Gruyere. The dark ruby red wine had a slight brick rim, a sign of maturity. Aromas of raspberries and tea leaves opened to juicy acidity and a weighty mouthfeel of raspberries. The lengthy finish was impressive. Last year’s winecation included travels around Yakima and Red Mountain where I chose a few favorites and finally popped the corks this summer. Powers Columbia Valley Malbec is from another wine pioneer. For over 30 years, Bill Powers has grown some of the finest wine grapes. Powers and son Greg planted their Badger Mountain Vineyard in 1982. The 80-acre estate transitioned to organic viticulture and in 1990, Badger Mountain Vineyard became Washington’s first Certified Organic vineyard. With aromas of pomegranates, plums and a touch of minerality, this wine has depth and complexity. Flavors of anise, plum and minerality with a rich mouthfeel made this 2014 Columbia Valley Malbec a great match with the grilled ribs and corn on the cob on the deck overlooking the Canal with Alan, Vic and Linda. In 1994, the Mike Andrews planted his first 20-acre plot of Cabernet Sauvignon grape vines in the middle of the family property on Horse Heaven Hills. The plot grew over the years, edging out wheat, watermelons, and corn. What started as a World War II bomb-testing area has now grown to over 1100 acres of vineyards which have produced more than 25 internationally awarded wines. Another BBQ, this time with old friends Andy and Michele to share a gold medal winning wine. The Coyote Canyon Winery 2013 Tempranillo and dollop of Graciano grapes are sourced from H3. This well-balanced wine had a nose that drew you in. Leather, spice, and cherries mingled together. It was fantastic with the pulled pork sandwiches. Visiting from Chicago, my longtime friend Ann and I had dinner at Place Pigale. It was a lovely celebration that kicked off with Treveri Blanc de Noir. This 100% Pinot Noir has hints of strawberries with crisp acidity that paired perfectly with the signature mussel appetizer. For the main course, we were torn between the salmon special and the scallops on a bed of Belgian endive doused with orange vinaigrette. So we did the sensible thing and ordered both and shared. Both were delightful with the Gran Moraine Yamhill-Carlton 2013 Pinot Noir. Produced in the Burgundian tradition, it did take a bit of swirling to get it to open up. And when it did, it was heaven. Ann and I also enjoyed NXNW Winery Columbia Valley Rose’ with a smoked salmon spread with a touch of Tabasco. The wine is a blend of seven varietals with a hint of sweetness that paired nicely with the little kick in the smoked salmon. NXNW Winery is part of King Estate Winery, a well-known Oregon winery. They began producing affordable Washington wines in 2005. And finally, my first foray into canned wine! Yep, my friend Catie thought it would be a hilarious hostess gift when she came for dinner. We thought it was a decent quaff and a must for hiking in the mountains with requisite rations of salami, bread and cheese. Although there’s something a little unsettling opening a wine and it sounds more like a cold beer. Cheers!